Ranked the #1 Independent Financial Service Advisor for several years by Barron’s, Ric Edelman is an award winning source of essential financial planning and retirement advice. 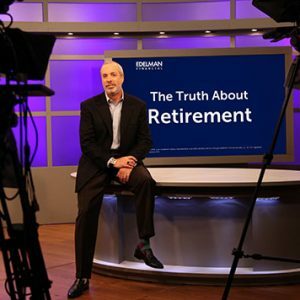 This week, PBS stations across the country will air a special featuring Edelman discussing investment strategies, social security and estate planning. To sweeten the deal, for anyone who pledges at least $20/month to their PBS station for a year, Edelman and his firm will schedule a one-on-one personal financial session, a service normally costing $800. So, do good by contributing to PBS and do well by receiving Edelman’s investment advice. And find out when your local PBS station is broadcasting the show Here.